The Thinking Drinkers return with a BRAND-NEW SHOW, a hilarious and intoxicating look at history’s greatest drinkers. Enjoy five free drinks as the award-winning experts reveal how alcohol has inspired pioneering explorers, politicians and painters in equal measure, from Plato and Picasso, to Nelson, Napoleon and Norm from Cheers. You’ll learn a lot, laugh a lot and, don’t forget, you get five free drinks. 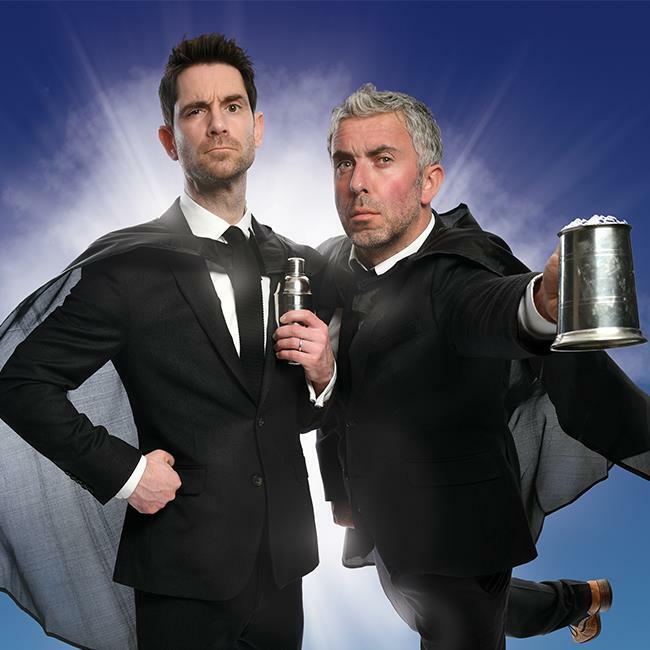 ‘Pioneers of alcohol based comedy’ (Sunday Times). ‘A terrific show. The best value for money in town’ (Scotsman). ‘Hugely funny, genuinely fascinating’ (Edinburgh Evening News).